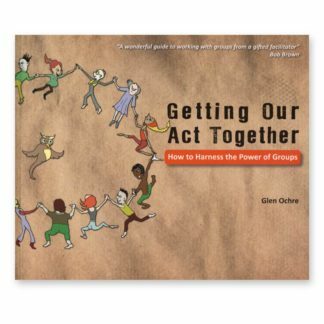 View cart “Getting Our Act Together by Glen Ochre” has been added to your cart. 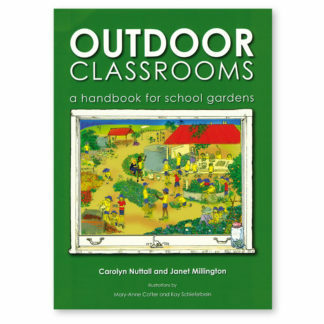 Outdoor Classrooms is ideal for teachers and home educators who want to incorporate outdoor education at all levels of the school curriculum, with an emphasis on setting up vegetable gardens, teaching children about growing food, economic concerns, human and planetary health and future sustainability. 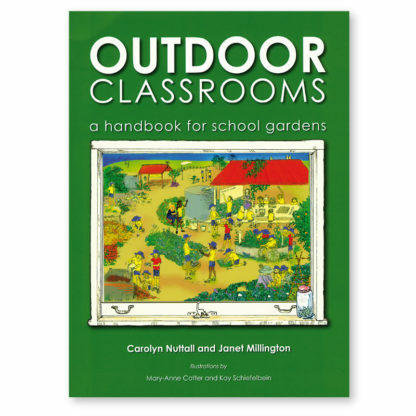 Beautifully illustrated throughout, Outdoor Classrooms is presented as two streams of thought. Carolyn takes through the history of school gardens and articulates the need for a revival before leading our journey into the fanciful; a schoolyard to fire and child’s imagination and delight in the natural world. 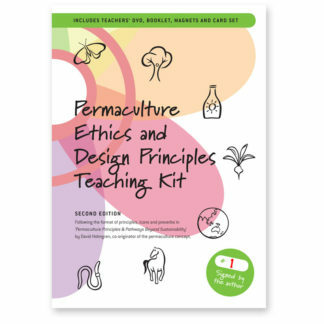 Janet then offers a comprehensive and practical plan for developing a school garden. 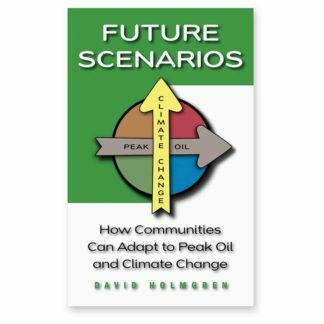 explore the subject of sustainability within a practical framework. Carolyn Nuttall takes us through the history of school gardens and articulates the need for a revival, before leading our journey into the fanciful; a schoolyard to fire a child’s imagination and delight in the natural world. 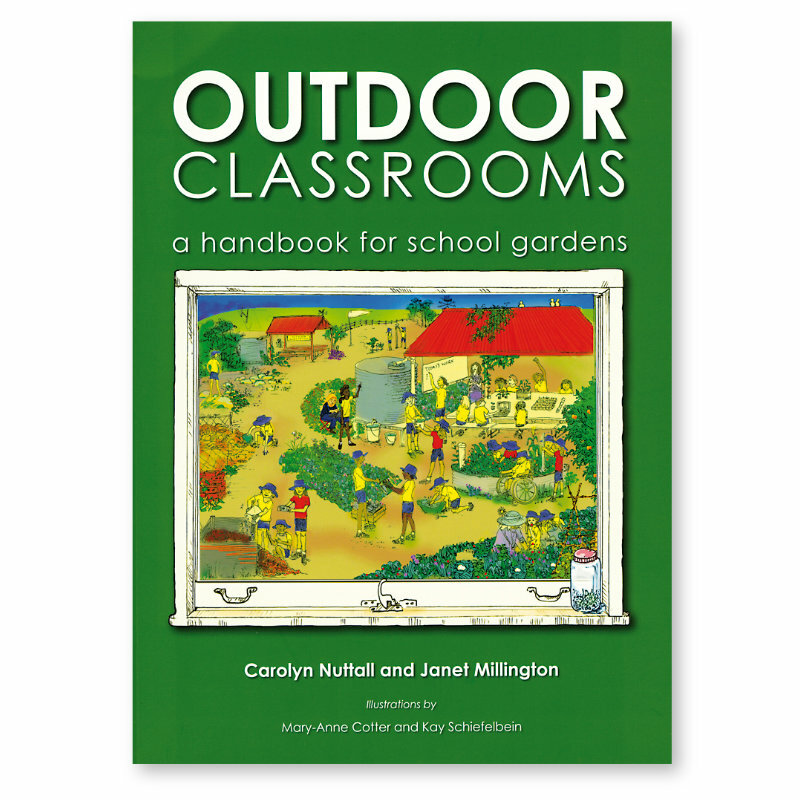 Janet Millington then offers a comprehensive and practical plan for developing a school garden. “A successful, supported school garden has the potential to benefit an entire community”, says Janet. Janet links the learning to the curriculum, providing samples of unit plans and describing a programming method based on lists of skills and knowledge to take the whole curriculum into the outdoors. She also addresses vital issues such as how to look after the garden during school holidays. “Outdoor Classrooms is a glimpse of a new way forward in teaching and learning. 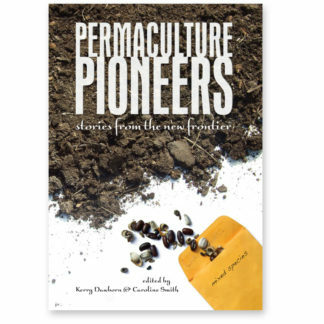 It is a book for its time.” Robyn Cook, author, parent and school garden volunteer. “A very useful resource for teachers, adults and parents linked to schools. 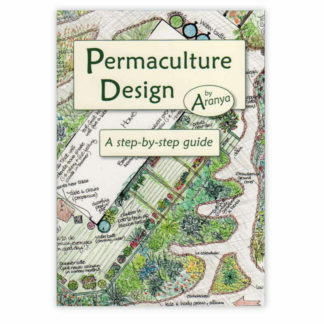 It is brimming full of charts, lists, diagrams and pictures to encourage you to get gardening. There are also long term plans and many curriculum links. It is very practical. Every school should be sent a copy of this book. We need books like this to inspire head teachers and teachers to get children into the outdoors.” Vicky Gould, parent and retired teacher. 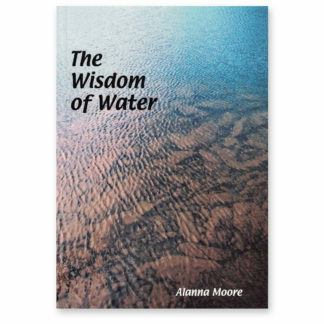 Format: Paperback, 168pp. Beautifully illustrated throughout with hundreds of line drawings by Mary-Ann Cotter, Kay Schiefelbein and Jane Bottomley. 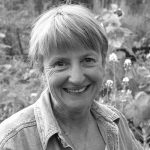 Janet is an educationalist, author and researcher with a long background in Community Development and Permaculture Education. She has vast practical experience in course design and teaching at all levels including teacher training. Janet matches that with years of practical experience in developing her own property towards best practice sustainability and in the establishment and use of community and school gardens following the permaculture principles. Janet has designed many school gardens, working with teachers across the regions to provide engaging and authentic learning experiences for children of all ages and was a leader in the global Transition Towns movement in Australia. 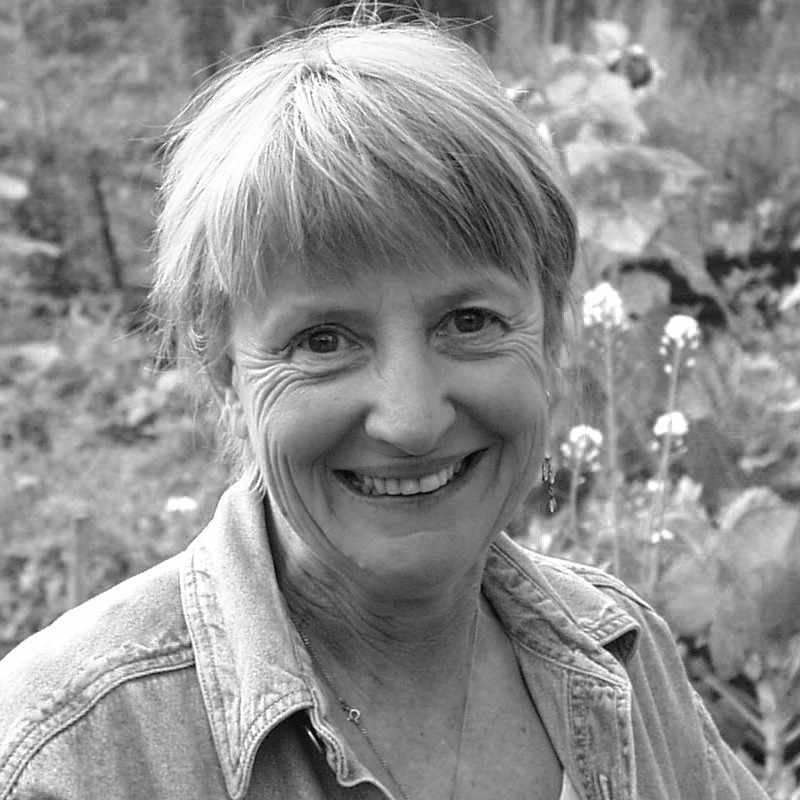 At present Janet works with past students in many successful projects and makes herself available to support permaculture initiatives whenever she can and believes, “… there is no greater thing we can do for our children than to ensure they receive their birthright; a love and understanding of nature and a knowledge of their place in it”. Carolyn is acknowledged as one of the pioneers of garden-based learning in schools. 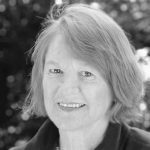 Her discovery of the benefits of school gardens for teaching and learning began in 1992, when the young children in her class made a small no-dig edible garden in the grounds of their Brisbane school. 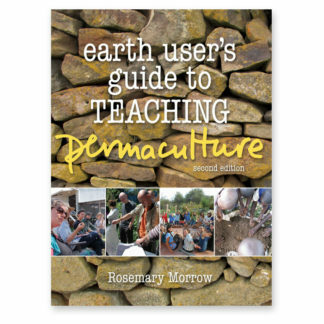 This activity captured the minds of the children who, over the year, went on to create a huge permaculture food forest – an outdoor classroom filled with the lessons of the classroom and experiences of the natural world. She remains active promoting the school garden as a prime exemplar for teaching sustainability, individual resourcefulness and self-reliance – the skills, she believes, that are needed for an uncertain future.